Next presentation with Sandy Moore and Stephen Voss! Wonderful to see everyone who came to the National Press Club Authors’ Night where I was thrilled to share a table with Scott Farris and his book, Inga, Kennedy’s Great Love, Hitler’s Perfect Beauty and J. Edgar Hoover’s Prime Suspect. Check it out! 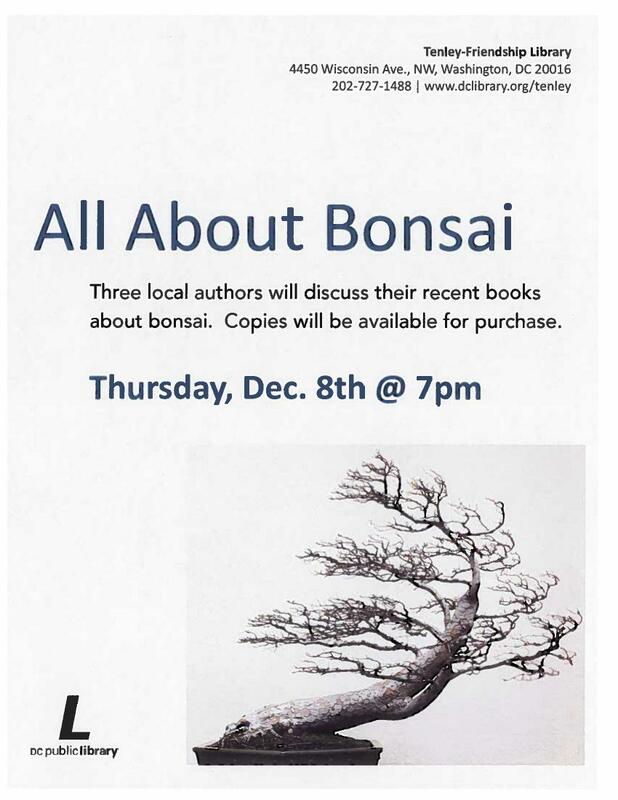 Next up for Bonsai and Penjing, a joint presentation with Sandy Moore and Stephen Voss at the Tenley Public Library on December 8 at 7 pm. See you there! 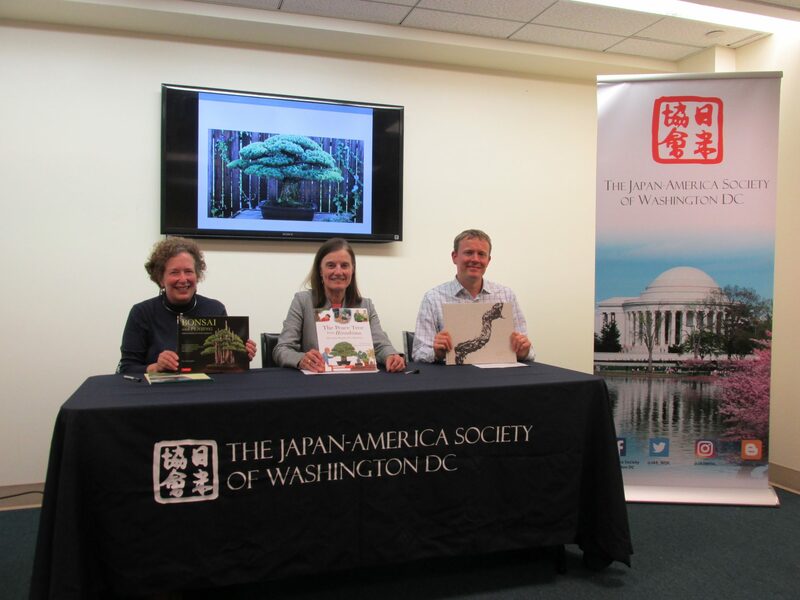 Sandy Moore, Stephen Voss and I presented a program called “Bonsai– Stories, Inspiration, Art,” about our respective books each reflecting a facet of the National Bonsai & Penjing Museum on Tuesday, November 15, 2016 at the Japan-America Society of Washington, DC. Looking forward to our next venue, the Tenley Public Library on December 8 at 7 pm! Excited about participating in the National Press Club Book Fair on November 18! 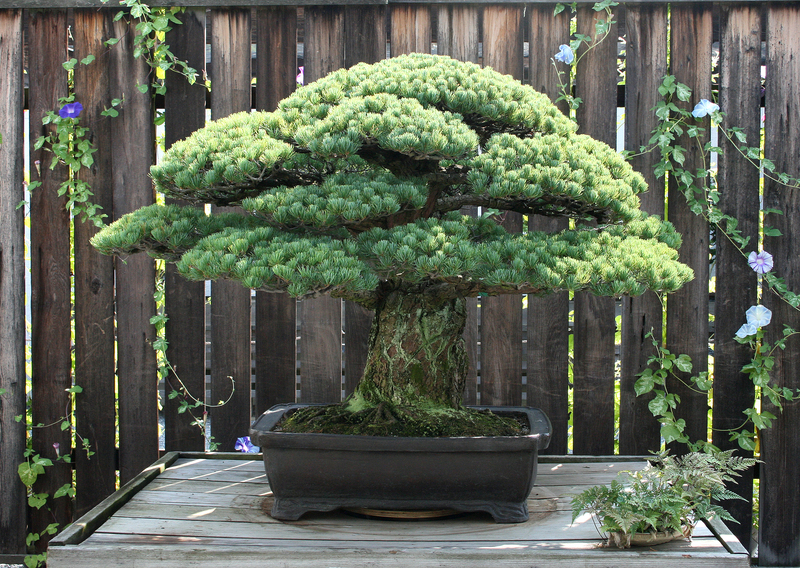 Come to Our Bonsai Presentation on November 15! The Yamaki Pine, renowned as a Hiroshima survivor, will be a focal point of the November 15th presentation at DC’s Japan-America Society. Whirlwind Launch, New Venue on Saturday, 10/22! Signing a book at Aki Matsuri! The first-ever Aki Matsuri on October 15, 2016 at the U.S. National Arboretum was a huge success. I’m already looking forward to the next one in 2017. 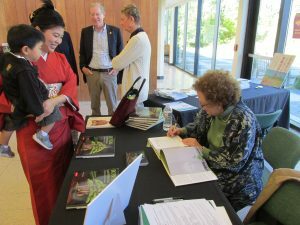 In the meantime, there’s a new addition to my calendar of bonsai book activities: I’ll be signing books from 2 to 4 pm on Saturday, October 22 at Hillwood Estate, Museum & Gardens, in conjunction with a kimono trunk show put on by Arise. See you there! 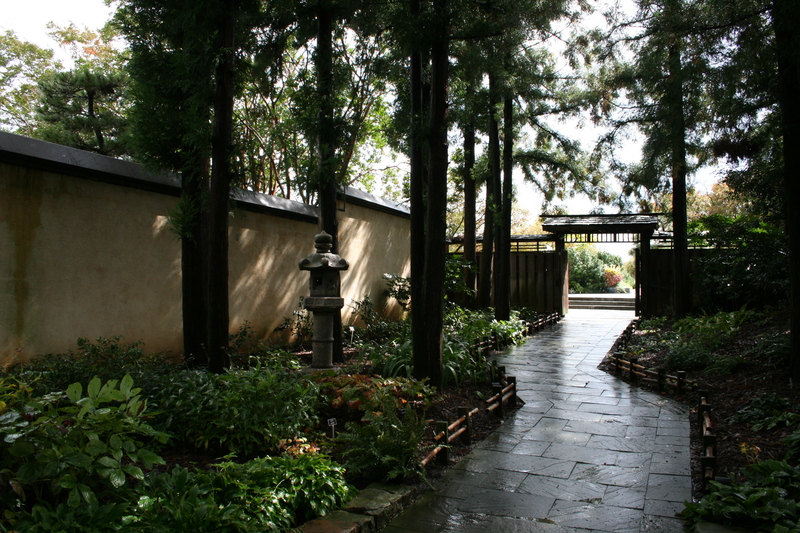 Countdown for Bonsai and Penjing Launch! 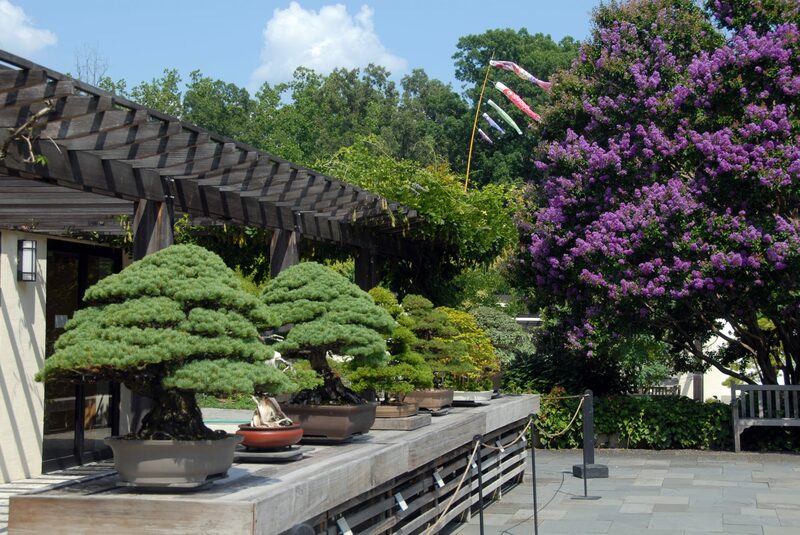 Excited about next week’s launch of Bonsai and Penjing, Ambassadors of Peace & Beauty! The book will be available for sale on October 11, and the first big day of public signings will be on Saturday, October 15 when I will be signing books from 10 to 4 at the National Arboretum’s free Aki Matsuri, then from 6 pm to 9 pm at the Japan-America Society’s ticketed Otsukimi or Moon Viewing, also at the National Arboretum. If you miss me there, come to the free DC Author Festival on Saturday, November 5th at the Martin Luther King Library, 901 G Street, NW, 10 am to 5 pm, Table B-2! A foray into fiction . . . While promoting Bonsai and Penjing, Ambassadors of Peace & Beauty is claiming most of my attention right now, my fiction life continues on a parallel track. You could even say it is in what might be called a parallel universe, because my historic novel-in-progress is set in Renaissance France. When I’m asked about this, because it seems strange to some that I have this intense interest in things French as well as in things Japanese, I say that my non-fiction world is Japanese and my fiction world is French. Please join me at any of these events celebrating the October 11, 2016 launch of Bonsai and Penjing, Ambassadors of Peace & Beauty. Saturday, October 15, Otsukimi or Moon Viewing sponsored by the Japan-America Society of DC at the U.S. National Arboretum from 6 to 9 pm, children under 15 free. 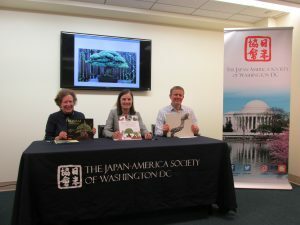 For more information: www.jaswdc.org, check upcoming events. Thursday, December 8, DC Public Library, Tenleytown, Joint Talk and Signing with Stephen Voss and Sandra Moore, 4450 Wisconsin Avenue, NW, 7 pm, Free. See you at a Bonsai and Penjing book signing or book talk very soon! 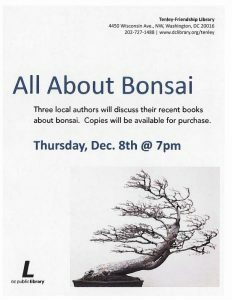 First Bonsai Book Public Event! 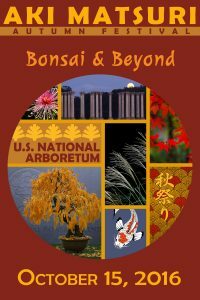 Come to the first-ever Aki Matsuri at the U.S. National Arboretum on October 15 from 10 am to 5 pm. I will be there, signing books! 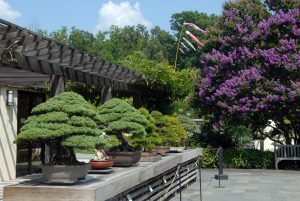 The theme is “Celebrating Japanese Plants and Culture at the U.S. National Arboretum” and there will be tours of the Japanese Woodland, Japanese Maple Collection,and the National Bonsai Collection. Cultural activities include kimono modeling, music, visiting the koi pool, a bonsai demonstration, plus hands-on children’s activities. Japanese food and drink will be available to buy. That evening, there will be an Otsukimi or Moon Viewing at the Arboretum, held in the meadow with Japanese food, drink, music and haiku-writing. The U.S. National Arboretum is at 3501 New York Avenue, N.E. in Washington, D.C. Its website is www.usna.usda.gov.